BeoLab 11 is a new elegant subwoofer from Bang & Olufsen which combines excellent bass performance, intriguing design and unorthodox placement possibilities. 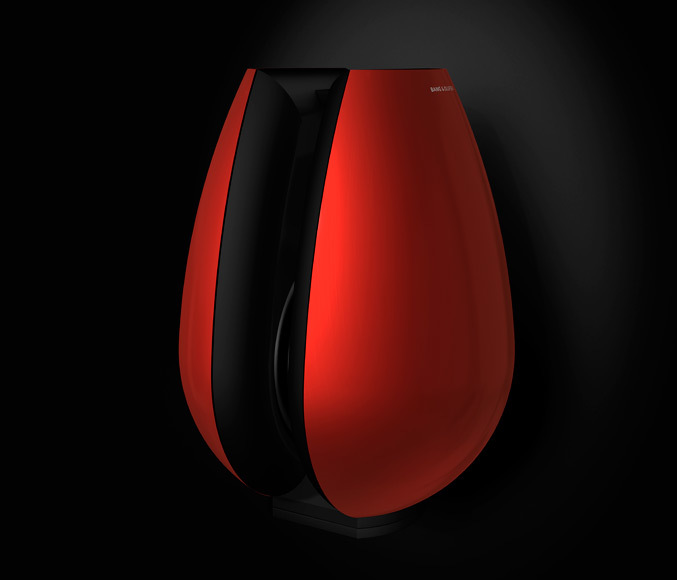 BeoLab 11 is a new small subwoofer from Bang & Olufsen that delivers amazing bass quality for its size. 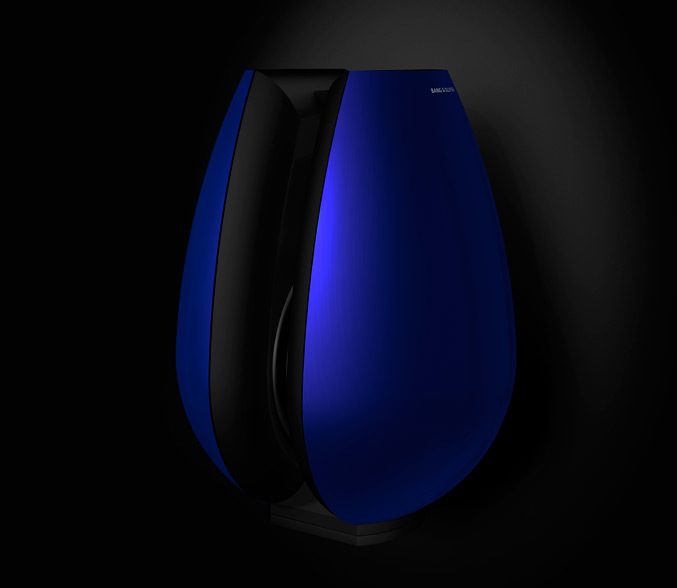 With BeoLab 11, Bang & Olufsen has revolutionized the subwoofer category by creating a subwoofer with an entirely new look. Despite its strong sculptural presence, BeoLab 11 has a discreetness about it that makes it easy to integrate in a home environment without turning the room into a sound studio. 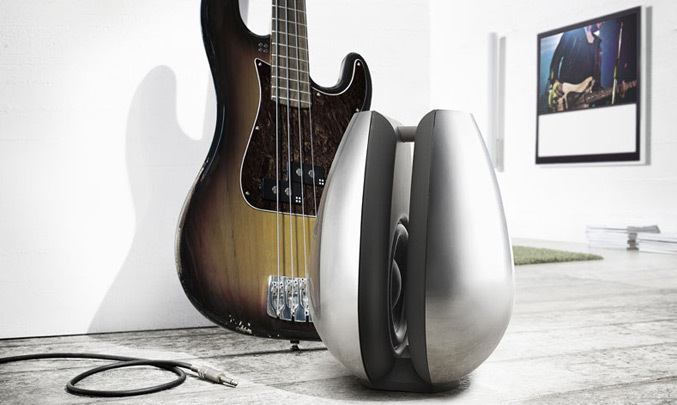 The unique acoustic design of BeoLab 11 allows it to be placed on the floor, in a corner, or mounted on the wall. In fact, due to its minimal vibrations, it is one of the very few subwoofers in the world that can be mounted on a wall. 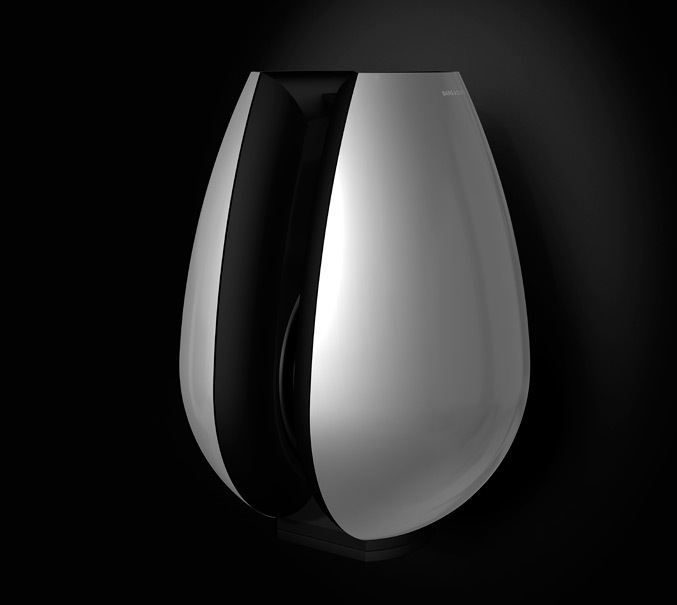 And with the sculptural design of BeoLab 11, you’ll want to put it on display, instead of hiding it behind a sofa. Based on Bang & Olufsen’s world-renowned sound competences, BeoLab 11 offers enhanced sound experience and outstanding acoustic performance. BeoLab 11 provides a significant addition to the bass experience in any small to medium loudspeaker setup, adding low frequencies from 300 Hz and down. BeoLab 11 is composed of two identical loudspeaker cabinets, with baffles facing each other. The outer shells are made of aluminium and are available in silver and white. 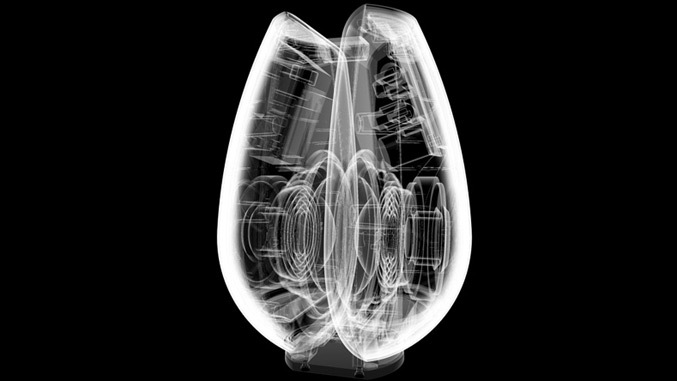 The concept is based on two 6½” drivers with electronics making BeoLab 11 fully active and suited for both Bang & Olufsen and third party applications. Utilizing the Acoustic Balance Principle for the first time in a Bang & Olufsen subwoofer, BeoLab 11 features uncompromising bass performance with minimal vibrations. It adds a presence to your surround sound system and also reveals the subtle nuances of your favourite tracks. Due to the omni-directional properties of the bass, the performance is not dependent upon orientation; therefore the unit can be ‘rotated’ as desired when positioned on the floor. “Thanks to its acoustic principle, which reduces to a minimum the vibrations normally experienced from a subwoofer, BeoLab 11 can be placed either on the floor or can be hung on a wall – and it will offer great performance in either position. Hanging a subwoofer on the wall is quite unorthodox. However, in many home environments this may be the preferred placement, as it will be possible to hide the cables and it will free up floor space,” states Michael Jensen, Product Manager Bang & Olufsen. By adding a BeoLab 11 to a simple stereo setup, you will experience that you hear things on your CD collection you never knew were there. This is because many audio CDs contain bass information that is not possible to reproduce with smaller loudspeakers as they do not cover the entire frequency range. With BeoLab 11 you get a richer sound not only in the bass area but also in the other frequency areas as it takes over smaller loudspeakers’ reproduction of the lower frequencies. This means that all capacity in the smaller speakers can be used to handle upper bass, midrange and treble. Adding BeoLab 11 to your existing speaker set up will greatly improve your overall listening experience. You’ll feel as though you are in the studio with an orchestra, or in a jazz club in Manhattan. You’ll enjoy music as it was originally intended, authentic and as if the artist were right in front of you.